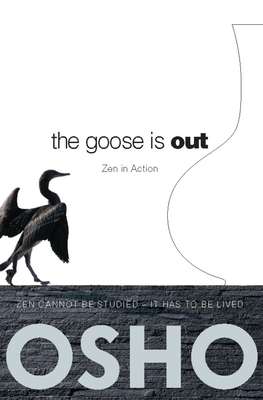 There is a famous Zen story about a disciple, Riko, who once asked his master Nansen to explain to him the old Zen koan of the goose in the bottle. Namely, if a man puts a gosling into a bottle, and feeds the gosling through the bottle's neck until it grows and becomes a goose - and then there is simply no more room inside the bottle -- how can the man get it out without killing the goose or breaking the bottle? In response, Nansen shouts "RIKO " and gives a great clap with his hands. Startled, Riko replies, "Yes master " And Nansen says, "See The goose is out "
In this Zen-flavored series of responses to questions, the contemporary mystic Osho cuts through the mad complexity of the contemporary human mind and its self-created "problems" with humor, compassion, and even an occasional shout and clap of his hands. The goose in the questioner's bottle may be a philosophical problem or an existential dilemma, a relationship drama or an emotional crisis -- in each case, Osho's unique and transformational response sets the goose free, allowing us to rediscover the simple and innocent clarity each of us brings with us when we.